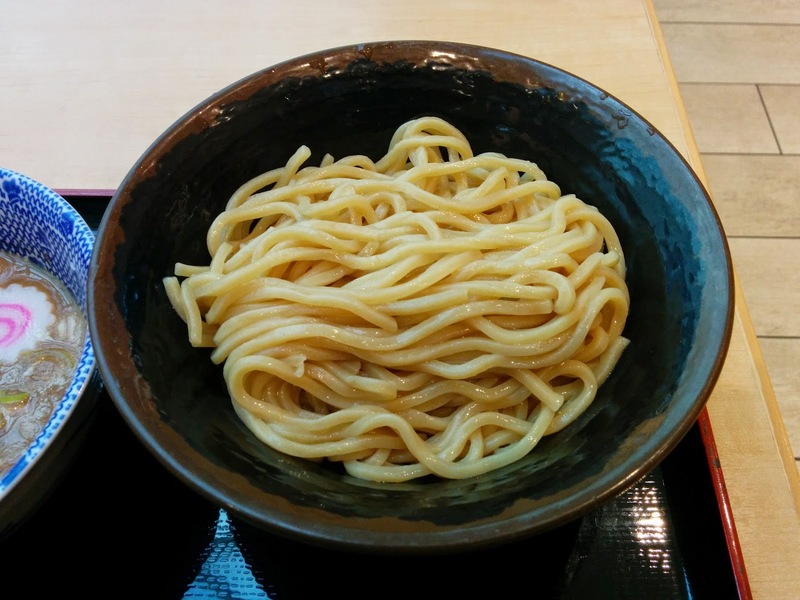 In the recent years, one of the larger booms in the ramen world is the innovation of the double soup tsukemen. 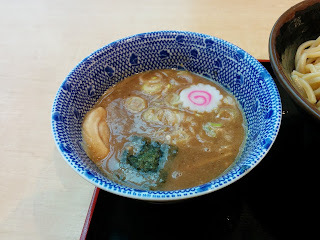 As opposed to most ramen and tsukemen, double soup - most often seen in gyokai tonkotsu broth - is a combination of two soups, in addition to the standard tare, noodles, and toppings that belong in a bowl. This innovation is credited to legendary shop Rokurinsha. Rokurinsha opened in 2005 in Tokyo, and after a few months of trouble created and debuted their signature double soup. It exploded. The lines became so long, that they ended up closing the shop so as not to cause trouble to their neighbors, and moved to Tokyo Ramen Street. When I lived in Tokyo, I waited on the hour or so long line to taste this piece of ramen history. I enjoyed it but wasn't moved to wait on a line like that again. 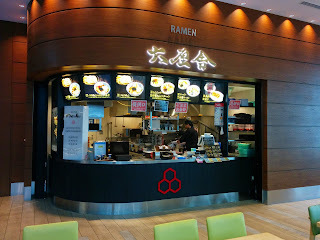 In February I embarked on a trip, and imagine my surprise when I saw a Rokurinsha in Haneda airport in Tokyo. When you're by the gates at an airport, you don't get quite the same rush as you would in a train station, so I was served immediately. I went for the standard tsukemen, happy I could mark this place off and present it to you. This was the Tokyo-style gyokai tonkotsu tsukemen I wax nostalgic about. The broth managed to be rich and full without being a swampy mess. It was sweet with just the right amount of pepper; a delicate balance of spice and sweet. The noodles too, were chewy with just the right amount of resistance before tearing through. Tokyo is full of great tsukemen shops like this, but I certainly tip my hat to Rokurinsha for inventing and producing an innovative, delicious bowl. I will stop by on every flight that passes through Haneda. This is a must for anyone in the right terminal of Haneda Airport.